American Airlines Group inc ticker symbol: AAL is an American airline holding company stationed in Forth worth Texas formed in December 2013. Since the IPO low from December 2013, the stock rallied in 3 waves corrective sequence i.e as double three structure & ended the Grand Super Cycle wave ((w)) at 1/16/2018 peak ( $59.08). Down from there, the stock is doing a bigger 3 wave pullback to correct the Grand Super Degree cycle in wave ((x)) as zigzag structure. 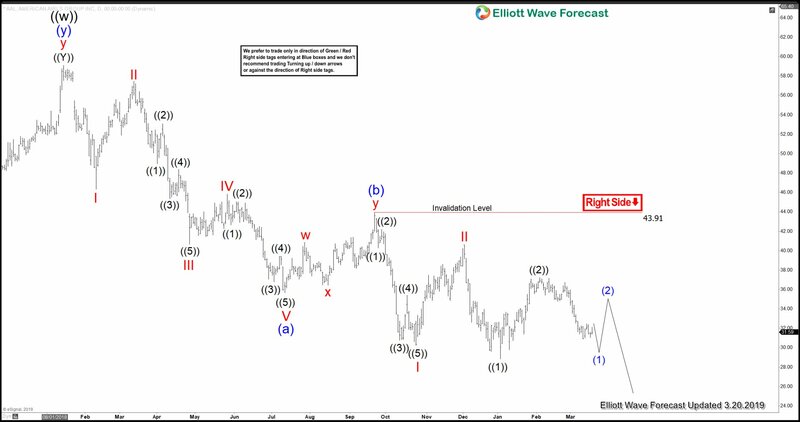 According to Elliott wave theory, Zigzag is a 3 wave structure having an internal subdivision of (5-3-5) swing sequence. The internal oscillations are labeled as A, B, C where A = 5 waves, B = 3 waves and C = 5 waves. This means that A and C can be impulsive or diagonal waves. The A and C waves must meet all the conditions of wave structure 5, such as: having an RSI divergence between wave subdivisions, ideal Fibonacci extensions, ideal retracements etc. 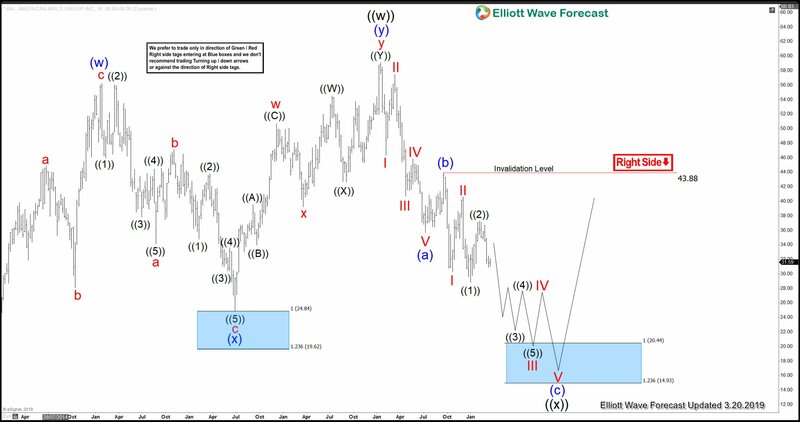 The pullback from 1/16/2018 peak ( $59.08) is taking a form of Elliott Wave zigzag structure. Where Super Cycle degree wave (a) ended at $35.64 low. Wave (b) bounce ended at $43.88 high. And wave (c) remain in progress towards $20.44-$14.93 100%-123.6% Fibonacci extension area of (a)-(b) blue box extreme area. Before it ends the cycle from 1/16/2018 peak in Grand Super Cycle degree wave ((x)) pullback. Then, the stock is expected to resume the upside or should produce a bigger 3 wave bounce at least. AAL in Daily cycle, Near-term bounces are expected to fail below 43.91 high for a move towards $20.44-$14.93 100%-123.6% Fibonacci extension area to happen. Keep in mind that the market is dynamic and the view could change in the meantime. Success in trading requires proper risk and money management as well as an understanding of Elliott Wave theory, cycle analysis, and correlation. We have developed a very good trading strategy that defines the entry. Stop loss and take profit levels with high accuracy and allows you to take a risk-free position, shortly after taking it by protecting your wallet. 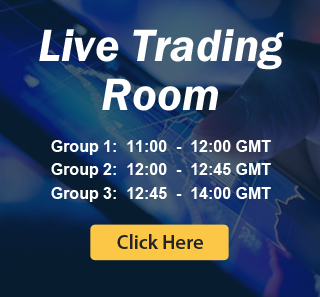 If you want to learn all about it and become a professional trader. Then join our service by taking a Free Trial.